Fans have been waiting ten years for this, so expect tickets for Pavement's reunion show in Central Park, which go on pre-sale today, to go fast. 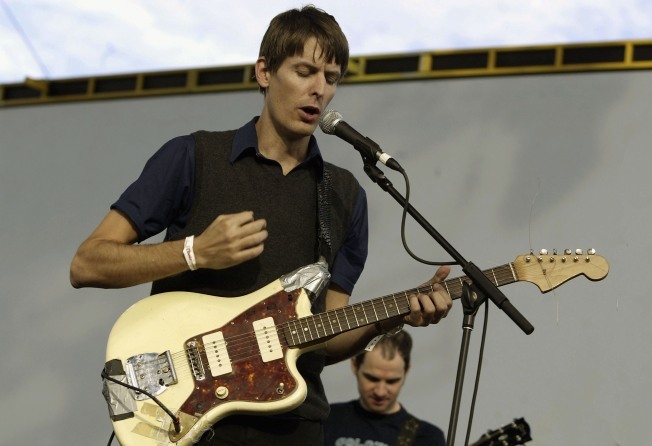 Largely credited as one of the most influential bands of the 90s, Pavement's low-fi slacker sound and the smart song writing of Stephen Malkmus are in a direct line with many an indie rock fan's favorite band. Though tickets go on sale today, there will be quite a wait -- the show, at Central Park Summer Stage, is Sept. 21, 2010. The pre-sale begins today at 10 a.m. and the password is ZOWEE, and available here. The general sale begins Sept. 25. The reunion tour is not about getting the band back together permanently, however. It is scheduled to be one shot deal in support of a Pavement compilation out in 2010. Afterwards the rest of the band will go back to being some of the most influential guys around with day jobs and Malkmus will go back to touring with the Jicks.